Host your next event at Avanti Resort. Our versatile meeting and event spaces can host a range of events, including holiday parties, wedding receptions, bar and bat mitzvahs, and more. Our events include access to a full-service catering menu and audiovisual equipment. Event guests can also block rooms at our resort for added convenience. 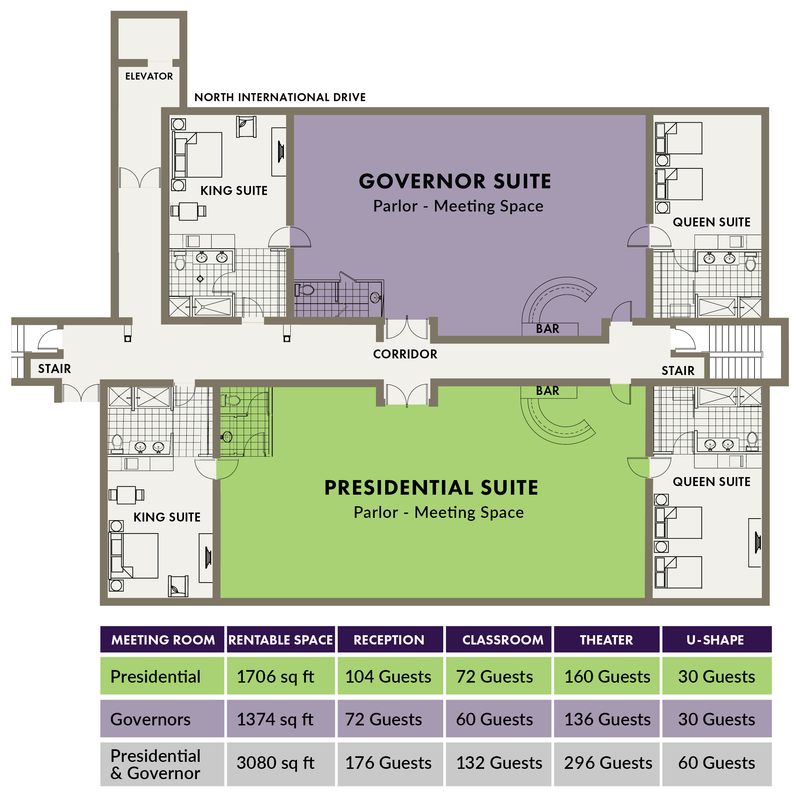 Avanti Resort includes two adjacent meeting spaces, the Presidential Suite and the Governors Suite. These spaces can be booked together or separately. 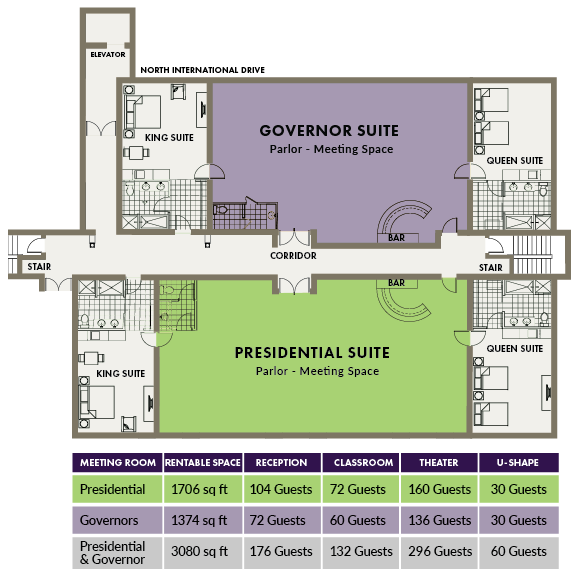 The full space can accommodate up to 296 guests. Select from theater, reception, and classroom-style setups.